For the past few years, my post-Thanksgiving-food-induced-bliss quickly turns into manic shopping and planning to get my table ready for Simple Elegance! 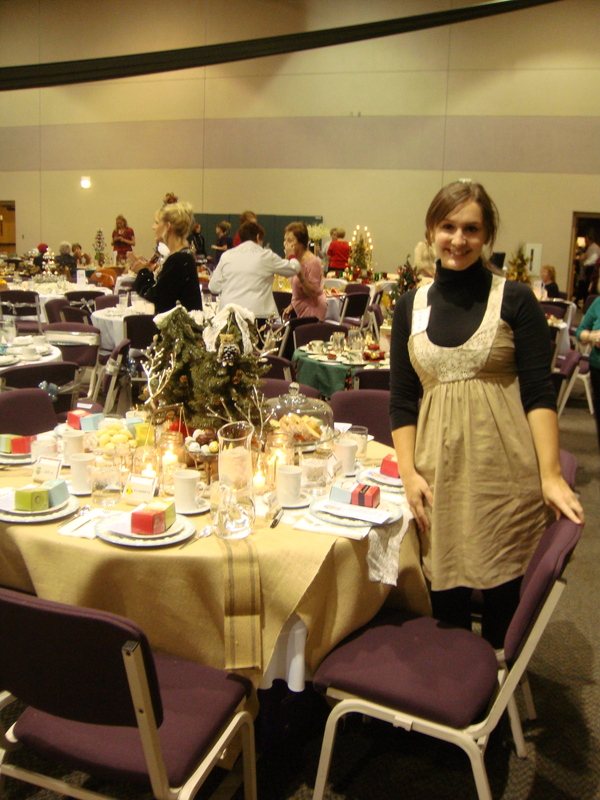 “Simple Elegance” is an event my church holds the first Monday of Advent (usually the first Monday after Thanksgiving, but I get an extra week this year!) 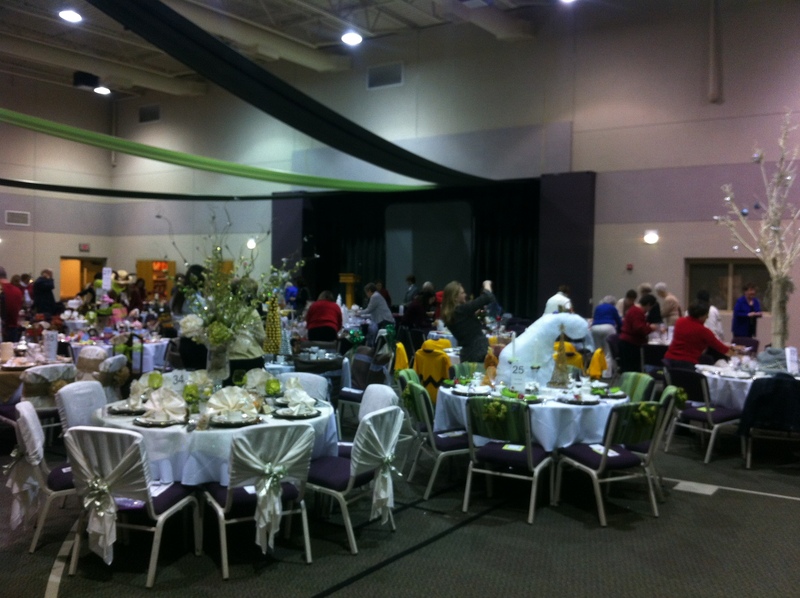 where we decorate 8-top tables (not necessarily “simply” or “elegantly”) and invite our friends for an evening of coffee and desserts and oogling! This is my third year to do a table. 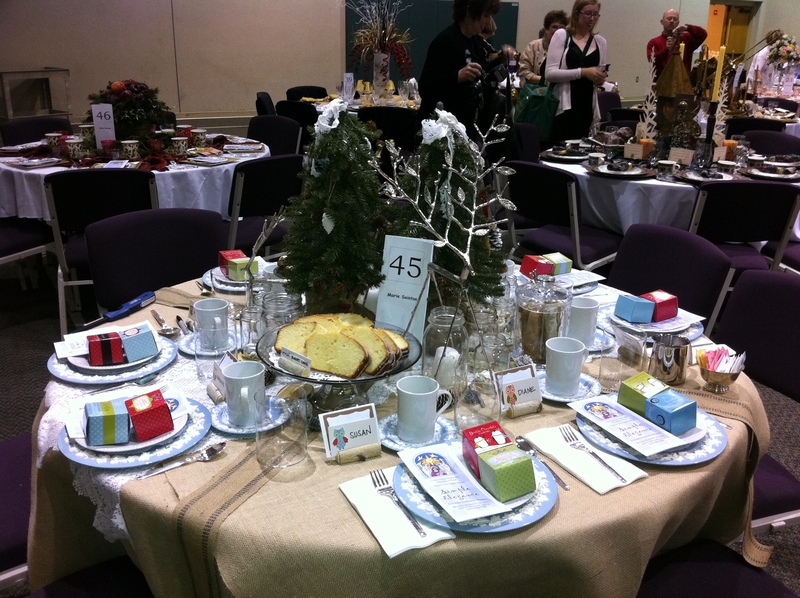 The first year, I borrowed a friends beautiful Wedgwood china and that set the tone–teal, burlap, neutral, and rustic. 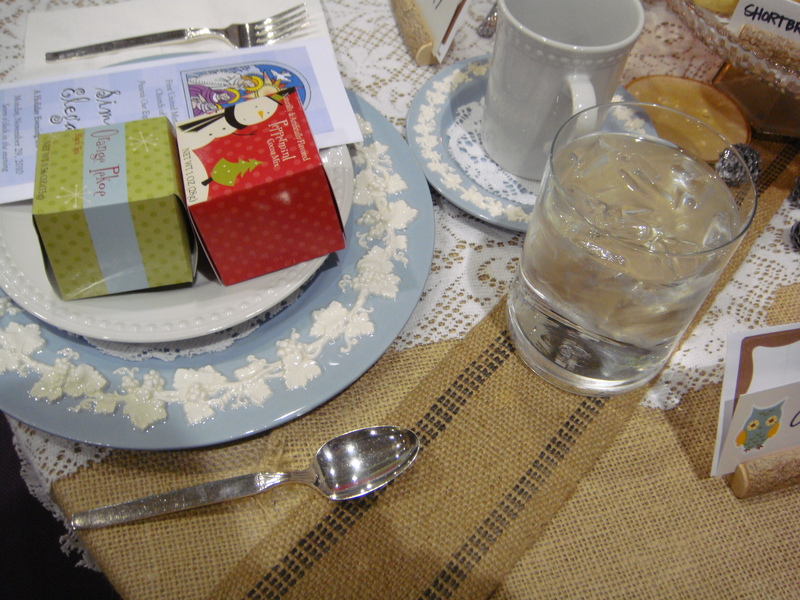 I used a few yards of burlap for the tablecloth, scraps from an old lace tablecloth, and layered on lots of Mom’s Mom’s serving trays and silver bowls. I started saving (and cleaning) jars when I decided on a theme. There weren’t many purchases for this table! Yes! Stay tuned for a post on my second attempt at Simple Elegance!